BrewDog has taken its craft beer mission to Spain opening its first bar in Barcelona. Located at Carrer de Casanova 69, the bar is located in a former bank building and as such boasts bulletproof glass. With a capacity for 100 people the bar will serve 20 beers on tap including a selection of craft beers from Barcelona and the rest of Spain. 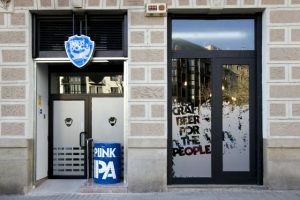 Regular “meet the brewer” events are planned to give customers the chance to meet some of Spain’s most “forward-thinking” brewers.